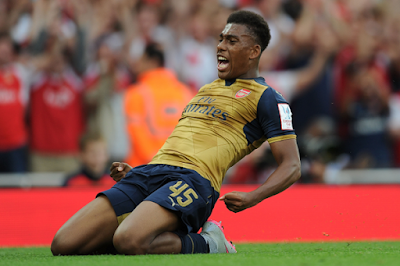 Super Eagles coach Sunday Oliseh has included Arsenal starlet Alex Iwobi in his squad for next month’s international friendlies against DR Congo and Cameroon. The 19-year-old left winger who plays as a forward and captains the Gunners’ U21s, was born in Lagos but has represented the English youth teams, thpugh he can switch allegiances as he had yet to play for the Three Lions in an official game. Fifa rules require that an application be made from the interested association seeking for permission before a player switches his allegiance, but the world football ruling body clarified that the Gunner can represent Nigeria as he did not feature for England in an official game. All invited players are expected to arrive in Belgium on October 5, 2015.